Contact Skyline Inland NW Today! For more than seven years, Skyline Inland Northwest has been the exclusive dealer for Eastern Washington, Northern Idaho, Montana and Wyoming. We take pride in helping our clients succeed by providing innovative exhibit design, dynamic marketing solutions, and high quality displays and graphics. 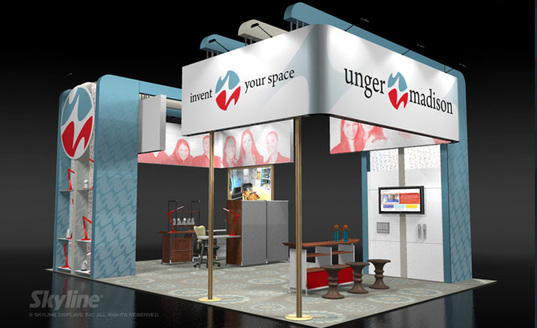 Maximizing our client's trade show results and minimizing stress are top priorities for our team of expert designers, consultants and project managers. We listen to you and produce designs, service and quality displays to meet your needs. With access to Skyline's global resources and the support of our local team, prepare for a stress-free and impactful exhibiting experience. Let's Chat! Our team is always happy to meet with you and discuss your marketing goals and exhibit needs. Help us help you. Fill in the contact form to send us questions and comments directly and we encourage you to call or stop by during business hours. We look forward to meeting you!